Denmark thrills has the only Hydro Orbing facility of this kind in Australia! You must be 10 are over to globe ride. Put on some suitable slippery clothing, e.g. 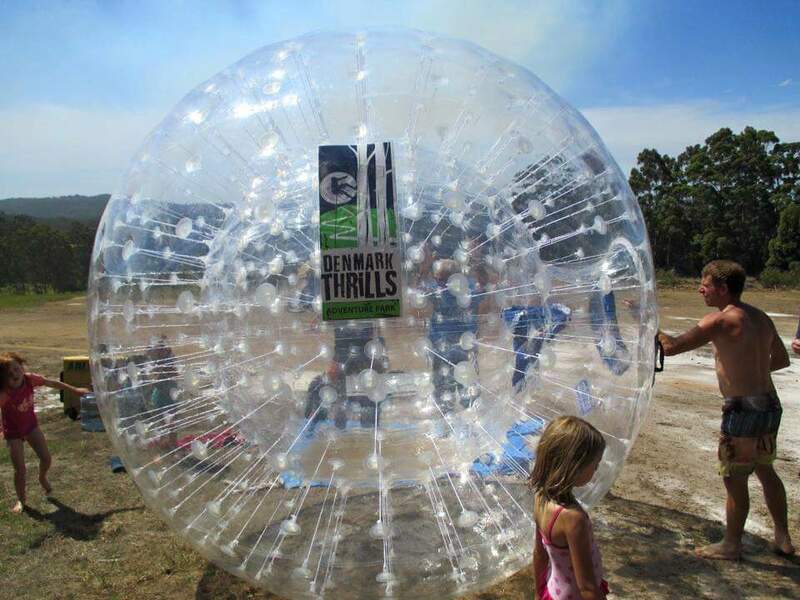 Boardies and a t-shirt (MUST BE free of ZIPPERS, Buttons or sharp objects), jump inside a 3m Diameter ball with 40L of water and we will roll you down a 150m purpose built track. This is a laugh a minute get wet ride, which feels like an extreme water slide inside a ball, great fun for keen thrill seekers!